Improve your disc life in all soil conditions. 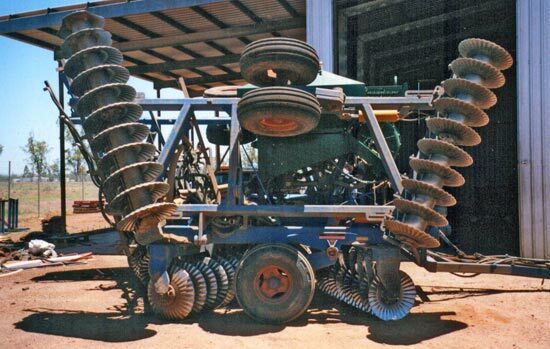 Made from longlife boron steel, these discs are ideal for use in all types of soil conditions. The discs peform exceptionally well in very abrasive soil types and the self sharpening edge gives a very effective cutting action to the disc resulting in deeper soil penetration and improved trash cutting. 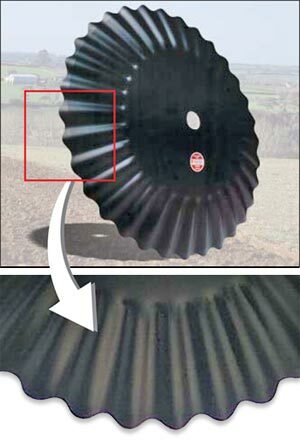 When using the Labrador disc, the soil is broken up more evenly with improved clod crushing at normal working speeds. Available in 20", 22", 24", 26", 28", 32"
The deep flutes give extra wearing capacity compared to other types of discs. These discs also work very well in moist sticky black soil types. Also see Disc Key Information and Disc Application Abbreviations. 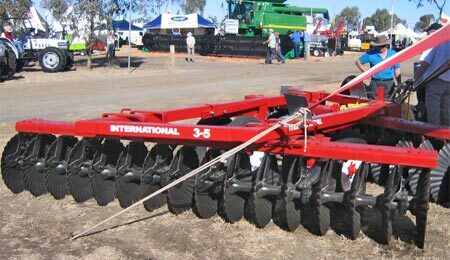 IHC3-5 Offset fitted with 32 x 24" Labrador fluted discs. 72 plate Grizzly Offset fitted with 70 x 28" Labrador fluted discs.